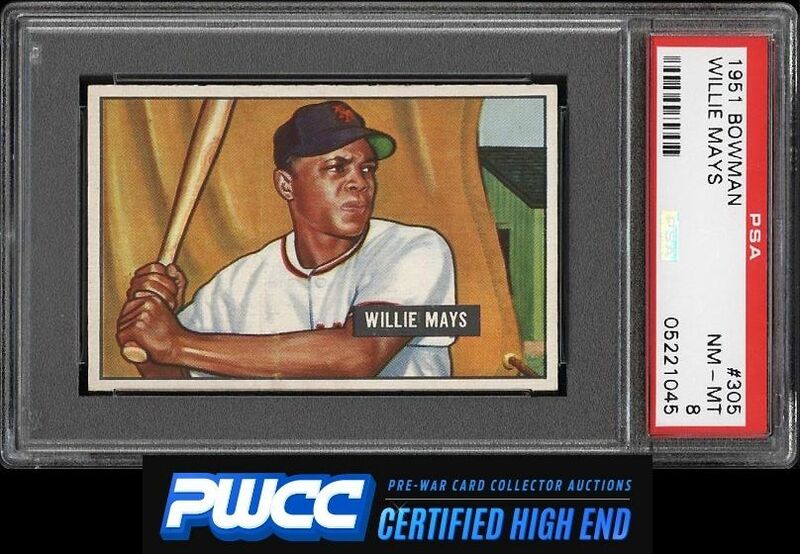 Hands down the single finest Mays RC we've seen in our history and may be one of the top few 8s ever assessed by PSA during their long 25 year history of grading sports cards. A dead centered and very well conditioned example boasting four strong NM-MT or better corners, fresh edges, and perfect focus for the issue. A very light runner mark along the bottom half is really all that could be sighted as a fault. Still shows very much like a NM-MT+ card and far exceeds any reasonable expectations that accompany the assigned NM-MT designation. A world class investment piece, depicting a top 5 HOF rookie card. This comes with our highest recommendation. One of nearly 17,000 cards, lots, and sets up for bid in our 8th Auction of 2016. Click on the link above to view the other PWCC auction lots.